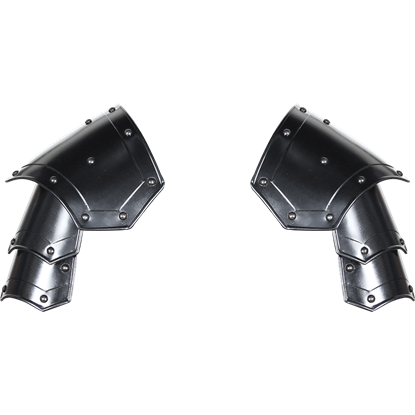 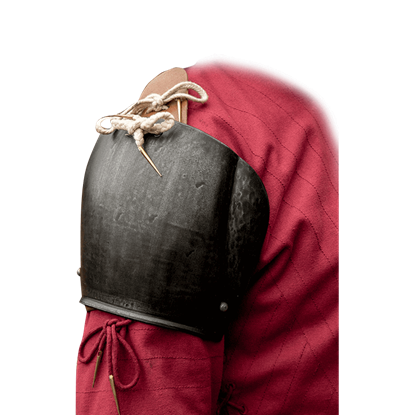 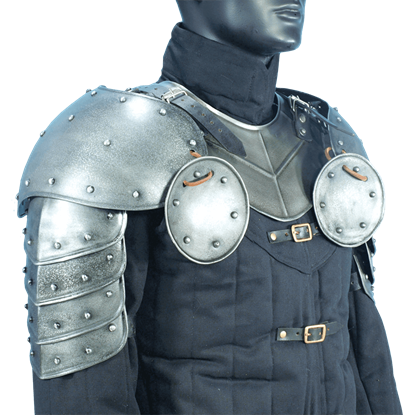 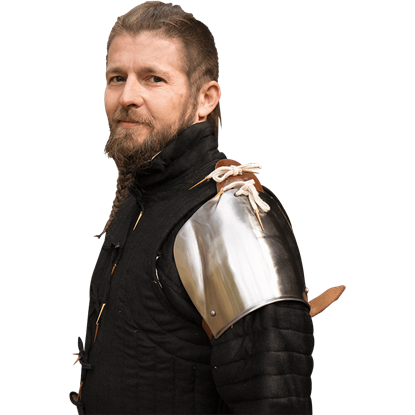 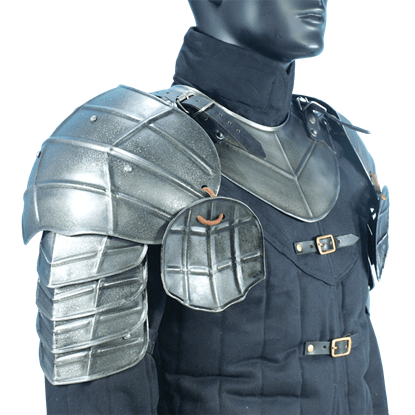 Combined with arm armour and gauntlets, this kind of simple shoulder armour continued in use up through the middle of the 15th century. 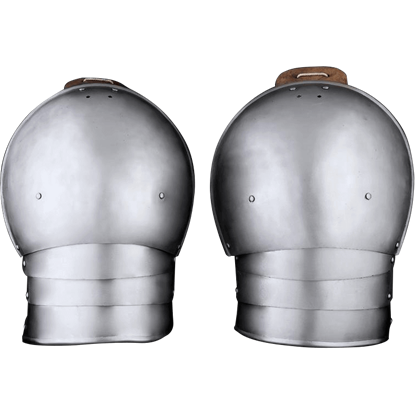 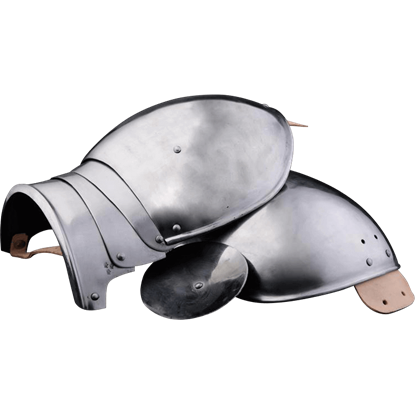 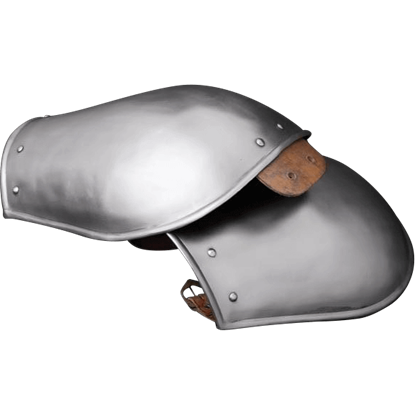 The 14th Century Spaulders offer straightforward protection with their rigid steel construction. 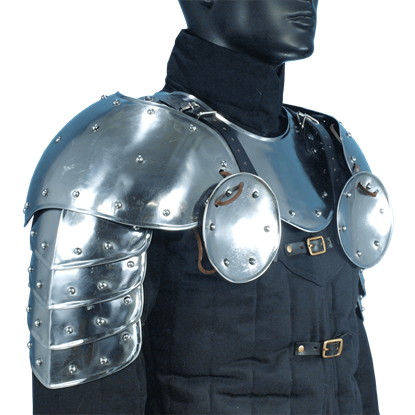 The only things more terrifying than your dark disposition and your reputation of destroying every village you pass through are your large, foreboding shoulders, and that is all thanks to the impressive Blackened Georg Spaulders! 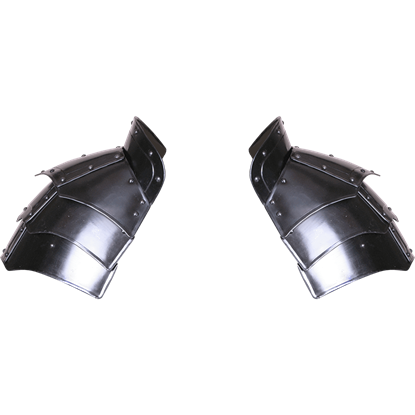 Wear the Blackened Gustav Spaulders for an added touch of dark style and shoulder protection. 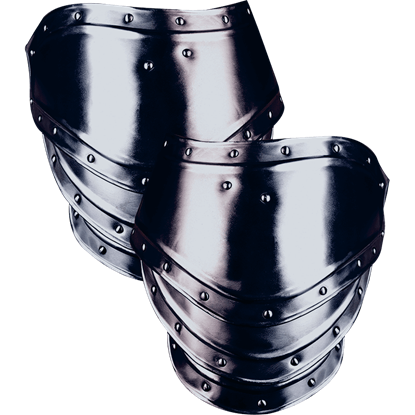 Made up of five interlocking pieces with decorative points and curves, they offer great mobility along with their distinct look. 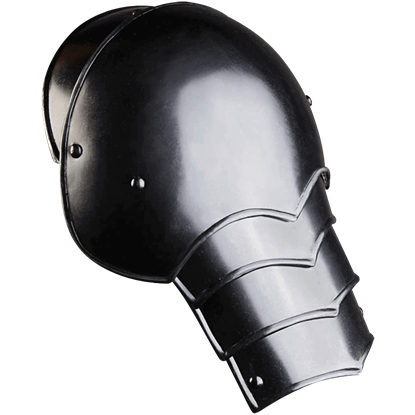 Perfect for dressing up as a medieval champion at your next LARP battle, the Blackened Vladimir Spaulders feature a dark metal finish and a broad shape that accentuates the impressive appearance of your whole suit of plate armour.